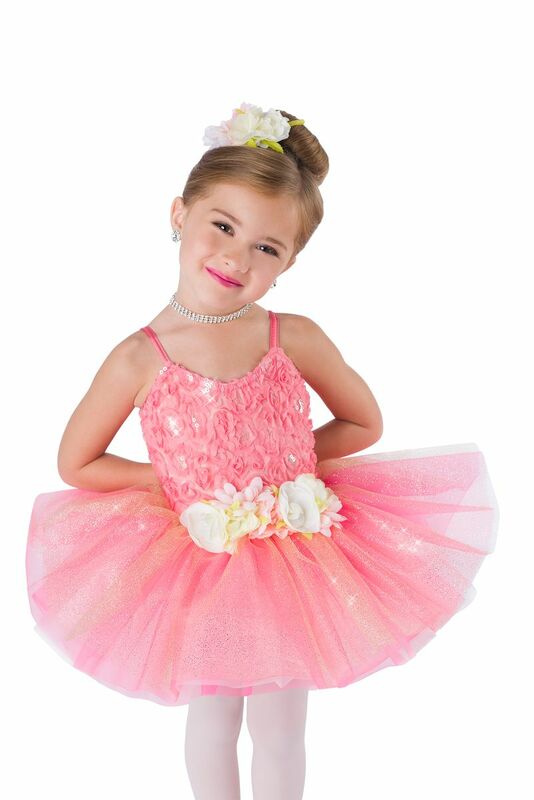 Coral rosette sequin mesh over papaya spandex leotard with spandex sash. 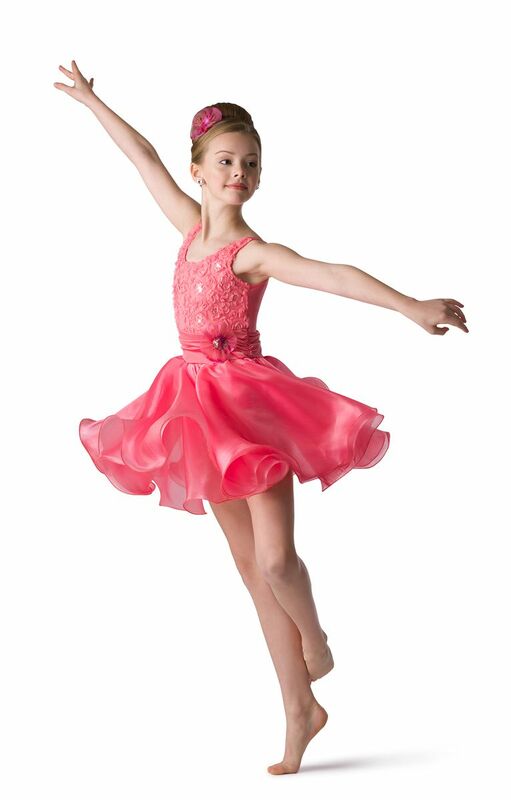 Attached coral organza skirt with curly hem. Flower trim. Imported.